The Boom Juice What The Sport Tee looks a lot like the one I have in Pink Lemonade... I wonder how much difference is between the two... I love pinky peachy colours like these... but will pass if they're too close in colour. I love the What the Sport Tee and like you preferred the mesh but have already broken down on a couple of colors so this will be my 3rd non mesh version!! 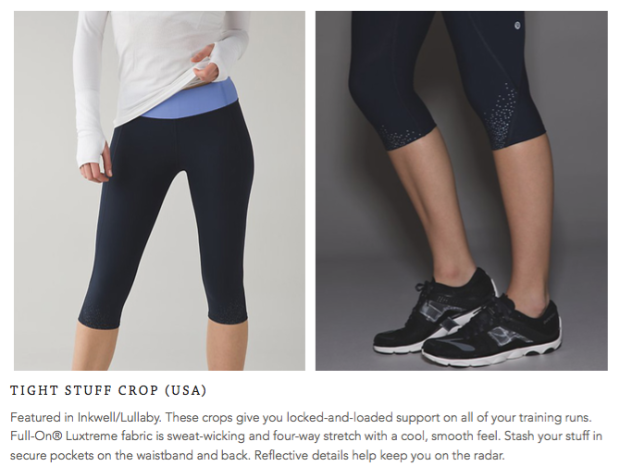 I am excited to try the crop version of the tight stuff tight ..I own 1 pair of the tight and really have grown to like them..just hoping that the cuff on the crop won't dig in too much that it will be uncomfortable since they are so compressive. I think the black floral print would be amazing in speeds! Maybe it's just my screen, but boom juice looks peachier than last release. I had the boom juice speeds, and they were a nice bright shade of pink. I'm not really intrigued with this sneak peak being the first week of spring releases but hopefully the Tuesday upload holds more promising product than what's shown in WWL. 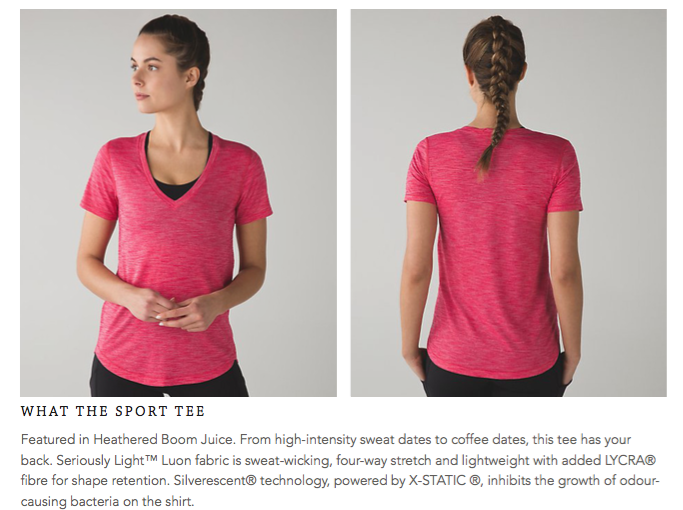 I wouldn't mind trying out the Tight Stuff Crop but it's not being released in Canada. 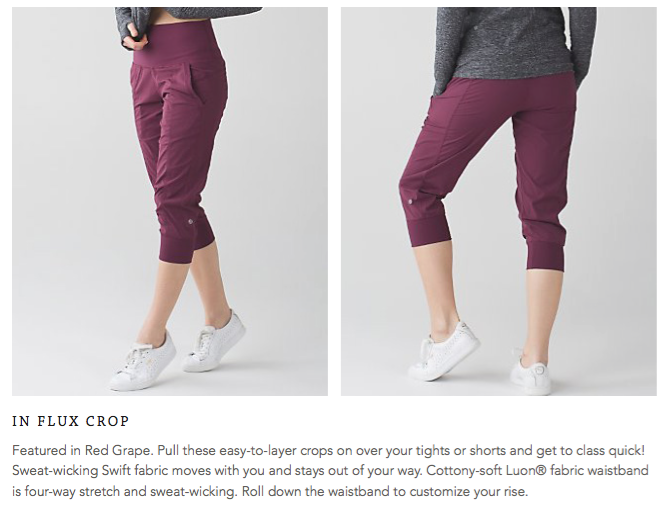 I am really surprised that the new In Flux Crop colour is Red Grape when there is already Plum and Regal Plum which look fairly similar to this new one and they just brought out a grey "Battleship" when there is already a Slate, not too creative IMO when they have so many awesome colours to pick from. Not that it matters to me because I don't plan on buying anymore than the two I have now as I just don't like them as much as my DANCE STUDIO CROPS & STREET TO STUDIOS which I hem to a crop length. How many more years do we have to wait before LLL brings back the iconic DSC??? I really like that particular FTBW bra and will probably get it. Not all the FTBW that they've been cranking out are that great. I wait for the best ones. This is my favourite bra for hot yoga. Light busted and totally works for me.